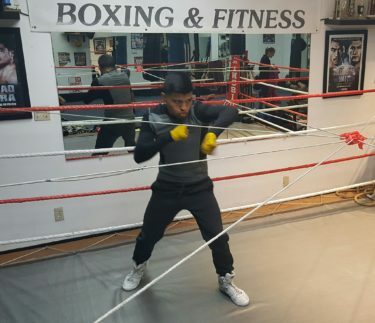 Oscar Mendoza – The Opportunity Arrives! At our local Santa Barbara area boxing gym, Duke’s Boxing and Fitness, we have had many kids come in to learn boxing at its best. In 2014 one of those kids, Oscar Mendoza walked in. At first he just blended in with the others, but after a few months owner and former pro boxer Henry Calles and I noticed something special about Oscar. What stood out was his unbelievable dedication and work rate. But, the thing that really got everybody was his willing to help others in the gym in a positive way to learn boxing. The amazing thing was that he was in the gym every day while working a full time job. 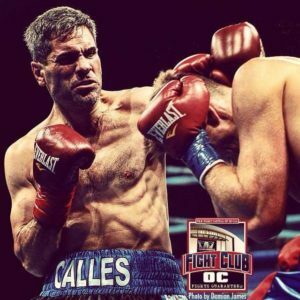 My friend, Henry Calles, officially ended his professional boxing career by announcing in March 2016 his retirement from the ring after a four bout and three year tenure. 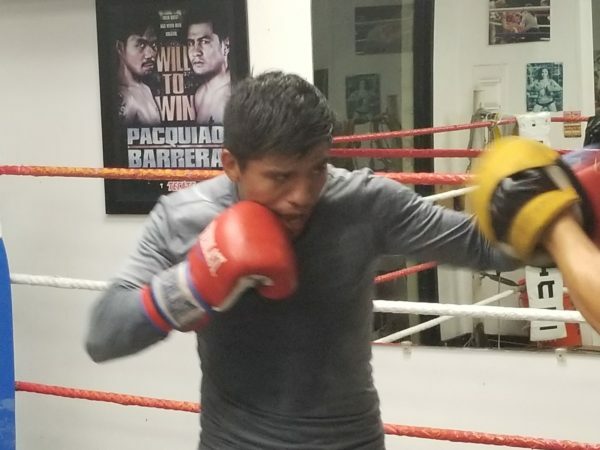 Henry, a successful amateur boxer in his younger days, and owner of Duke’s Boxing & Fitness Gym in Isla Vista, California turned to his lifetime dream of becoming a professional boxer in the summer of 2013. At the age of 36, many including myself, knew it would be against the odds starting at such a late age. Most boxers at this age are considering retirement or have completed their careers. The key element in Henry’s favor was that he was a youthful, well preserved boxer at a late age. Boxing is like no other sport, as your diet, lifestyle, and superior conditioning are most essential in your everyday life, with training usually six days a week. Trips to Ventura, Oxnard and Los Angeles for sparing sessions to achieve top quality is a must and a huge part of training. 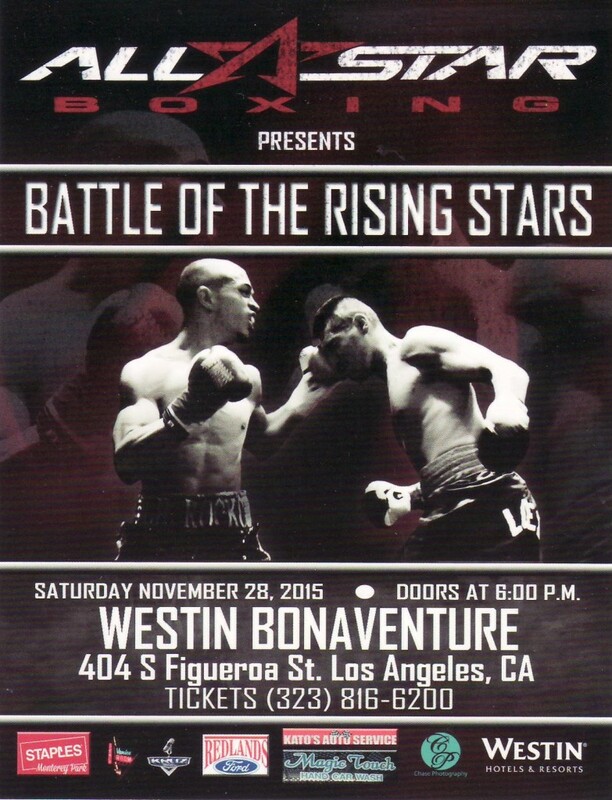 Last Saturday night, November 28, 2015, Henry Calles (1-0-3) fought Lucius Johnson (2-0-1) to a majority draw at the Los Angeles Westin Bonaventure. I was a second in Henry’s corner and so certainly had the best ringside seat in the house to clearly see it wasn’t a draw and I did not agree with the judge’s scorecards. Their scores were 39-37 in favor of Calles, with the two other judges scoring it identical 38-38 … my score was 39-37 … three rounds to one for Calles. On November 28, this month, our local Santa Barbara boxer Henry Calles (1-0-2) has his upcoming fight in Los Angeles, California against Lucius Johnson (2-0) in a middleweight / super middleweight bout at a catch weight of 165 pounds and scheduled for four rounds. NOTE: middleweights fight at 160 lbs. and super middleweights fight a 168 – so this fight is in between and agreed upon by both fighters. 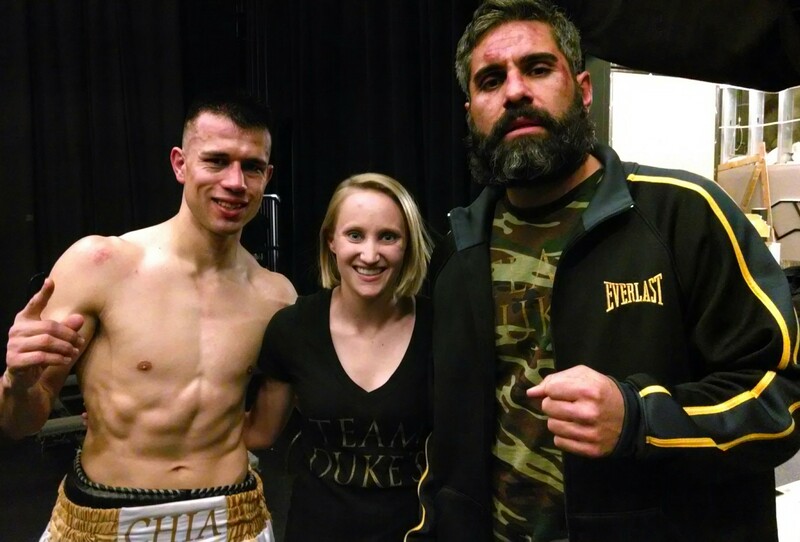 On behalf of Duke’s Boxing and Our Team – Veronica Calles, Sarah Cammann, Oscar Gracia Jr., Oscar Gracia Sr., and yours truly, we would like to alert everyone that our professional boxer Henry Calles (1-0-2) has a scheduled 4 round middleweight / super middleweight fight at a catch weight of 165 pounds vs. Lucius Johnson (2-0) on Saturday, November 28, 2015. 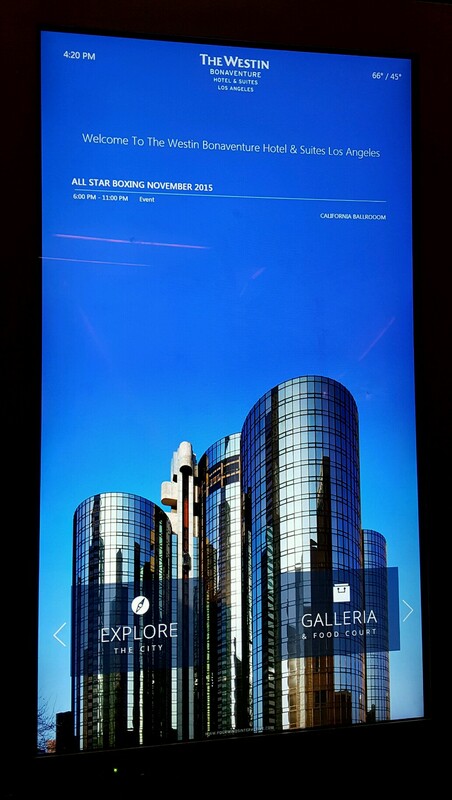 The fight card will take place at the Westin Bonaventure in Los Angeles, California 90071. 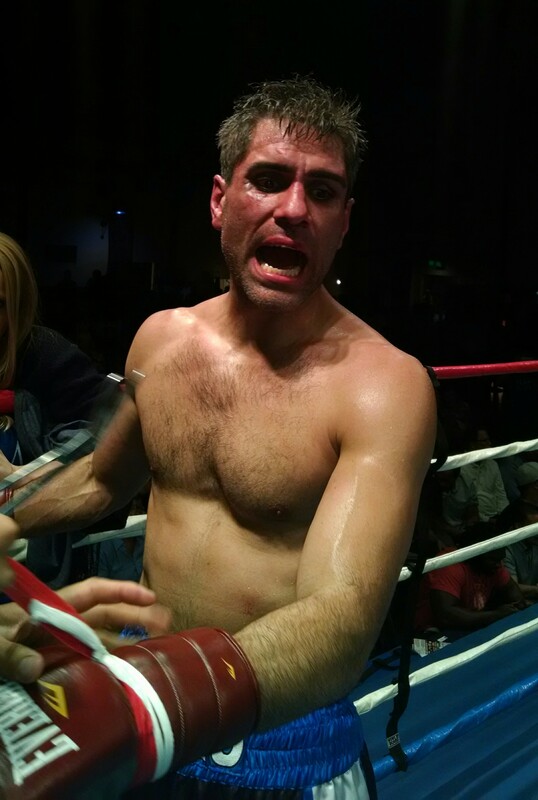 After two months of serious training and a disappointing postponement of his fight scheduled for Simi Valley two weeks earlier, Henry Calles moved on to a larger venue and tougher opponent on Thursday, June 11, 2015. The Hangar at The Orange County Fair and Events Center in Costa Mesa, California, was the site. 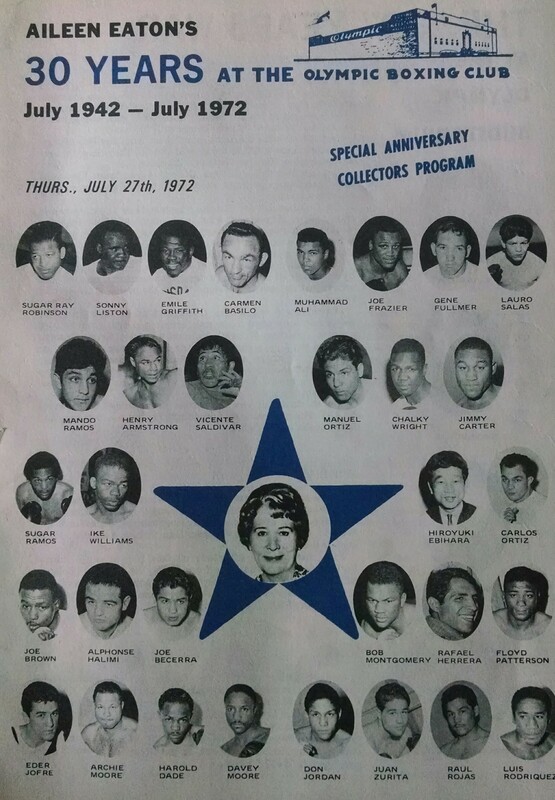 The nine-bout fight card was attended by a standing room only crowd of 1600 plus fans. The card was promoted by Roy Englebrecht / Fight Club OC. The opponent for Henry would be local favorite Reece Bennett in a super middleweight bout, scheduled for four rounds. As a member of Team Duke’s working Henry’s corner, it was an honor for me to be in such good company for the fight along with trainers Oscar Gracia Sr., Oscar Gracia Jr., and team manager Sarah Cammann. The return to the ring of our Team Duke’s boxer, Henry Calles, will take place THIS Saturday, May 30th, in Simi Valley, California. 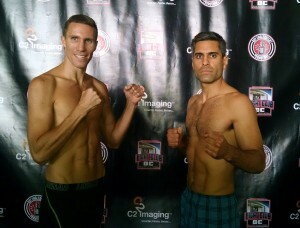 The super middleweight (168 pounds) bout is scheduled for 4 rounds against Brian True. Other bouts will also be featured in this live show of professional boxing. 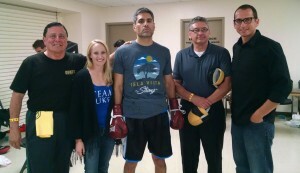 A Santa Barbara, California native, Henry is ready and focused for this – his third pro fight. Your support for Henry is much appreciated and hopefully we will see you at the fights. When I think of women in boxing, the first lady that comes to my mind is Aileen Eaton. She was the legendary fight promoter at the historic Olympic Auditorium in Los Angeles from 1942 to 1980. Her outstanding knowledge about fighters and the business of boxing earned her the first ever honor of a woman being inducted into the International Boxing Hall of Fame in 2002. 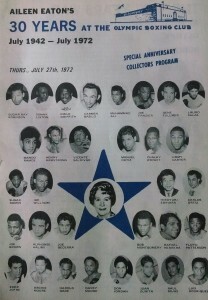 She is also an inductee in the World Boxing Hall of Fame and the California Boxing Hall of Fame. I fully support women in boxing in any capacity and would like to bring to your attention a lady that is my friend – Sarah Cammann. 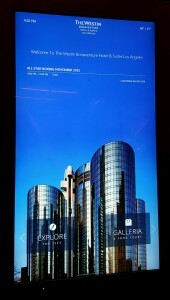 I met Sarah about five years ago while she was attending the University of California Santa Barbara. 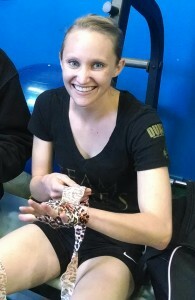 She would come into Duke’s Boxing every day for fitness, which led her into boxing. 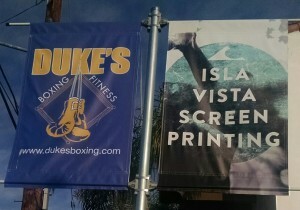 Owner Henry Calles opens his door and offers his expertise in the sport to all that come to Duke’s Boxing. From the moment Sarah entered the gym, we all “instantly” knew there was something special – very special – about her and this did manifest itself bigger than life right before our very eyes over the past years through her dedication. Sarah has become more than just another person in the gym with her hard work and her nothing is too meaningless to help attitude. She trains and is involved in everything in and out of the gym. Most importantly, last year when Henry became a professional in the ring and we needed a Team Manager, there was no one who came to mind but Sarah to fulfill those business duties and to be a hands-on figure in the gym, both training for Henry and helping others in the gym as well. 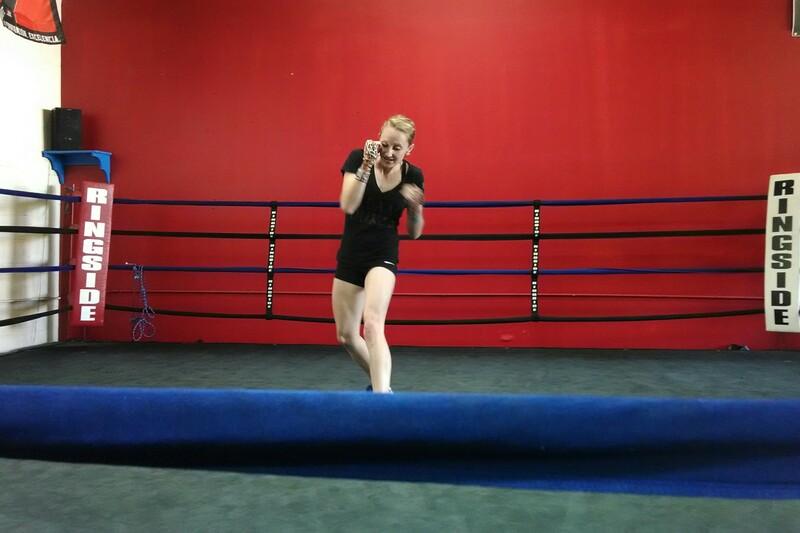 She trains and boxes herself, and for a lady that is just 100 pounds strong – she is dynamite. I can say so many positive things about Sarah in boxing, but what really stands out are her focus, loyalty, dependability and kindness in being willing to learn the trade of boxing. I might surmise this is brought on by her being an elementary school teacher and helping kids in her regular job. For those who know Sarah, you will certainly agree with me that she is a wonderful human being. I consider myself blessed to have her in my life. 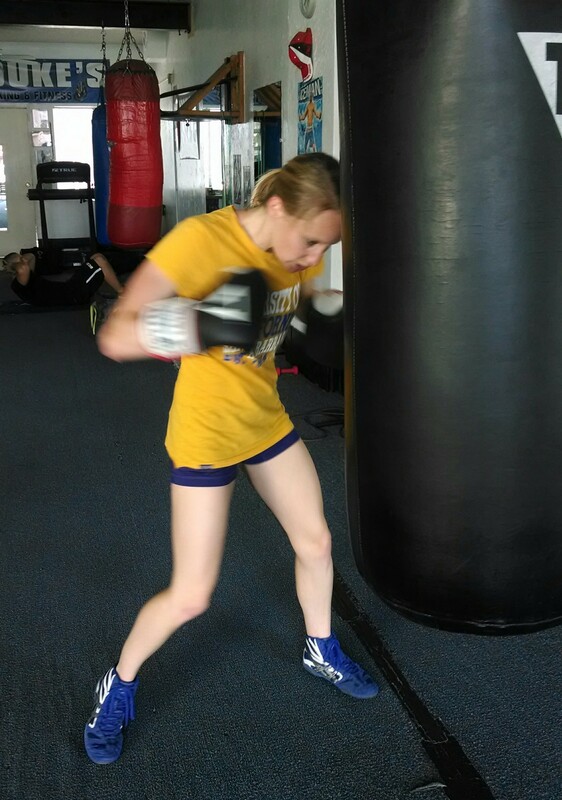 Sarah’s growing knowledge in a sport she loves will only get brighter in the years to come – like a jewel in boxing! 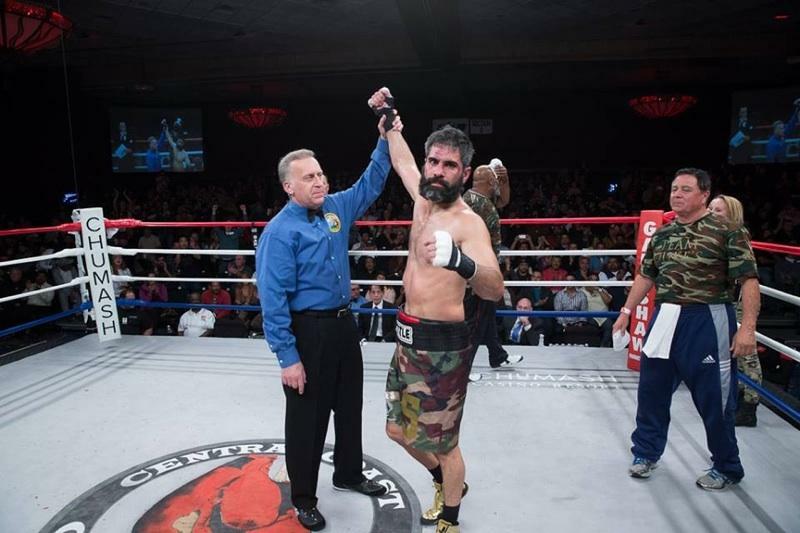 On December 6, 2013, the Chumash Casino, in Santa Ynez, California showcased a terrific night of boxing. The entire card was filled with action and it was the night that Henry Calles won his light-heavyweight rematch (vs. Zlatko Ledic ) by a four round unanimous decision. Calles won three of the four rounds on my card (39-37 on points) as I viewed the fight at ringside working his corner. 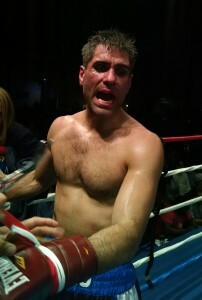 At the opening bell, Calles came out on fire and twice came close to a first round knockout, winning that round big. 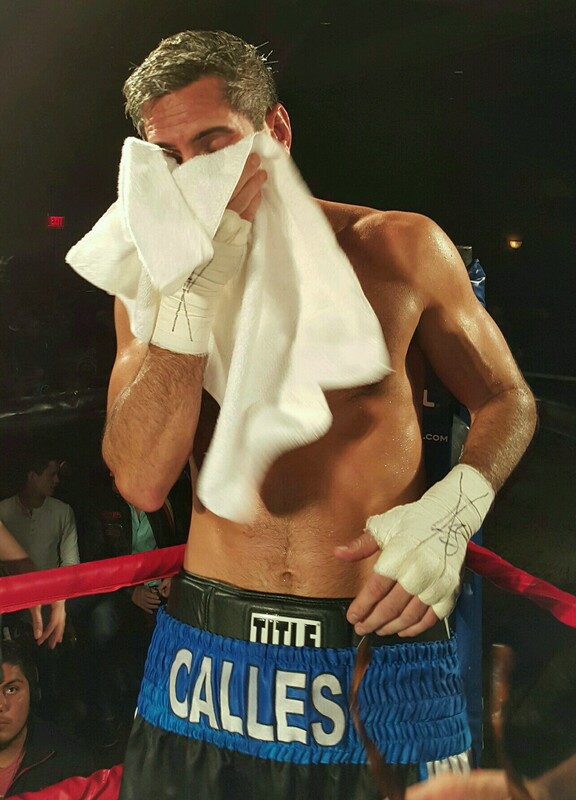 He won rounds two and three, but there was concern about midway in round three, as Calles seemed to fade with his stamina. I would attribute that to maybe being over-trained, leaving the peak of his fitness in the gym. Just a week before the fight he was so pumped up that he stated “I’m so fired up I almost kicked my office door down today” which leads me to believe this was the case why Calles had his lapse in conditioning.